Gravenhurst is a vehicle for the music of the singer-songwriter, record producer and multi-instrumentalist, Nick Talbot, who lives in Bristol, England and is signed to Warp Records. While Talbot began performing solo and continues to do so, since 1999 many other Bristol musicians have helped expand Gravenhurst into a powerful live band, with long-time drummer Dave Collingwood also contributing significant performance and production work to the recordings. On tour throughout 2007 and 2008, Robin Allender played bass, and Alex Wilkins played guitar. As of 2009, Talbot has been performing solo with a guitar and various phrase-sampling, looping and droning devices. 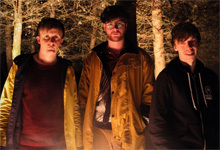 Gravenhurst's fourth album, The Western Lands, was released on 10 September 2007. May 2008 saw the release of a double A-sided single, "Nightwatchman’s Blues" / "Farewell, Farewell". The fifth album, The Ghost in Daylight, was released on 30 April 2012. Gravenhurst has been described as dark and highly atmospheric, veering between the noisy shoegazing sound of guitar bands such as My Bloody Valentine, the harmony-laden singer-songwriter territory of Simon and Garfunkel, and the intricate fingerpicking guitar styles of Bert Jansch and Nick Drake. 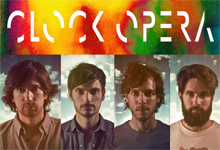 Earlier releases were grounded in acoustic and folk styles, while Fires in Distant Buildings made moves towards psychedelic rock. Flying Saucer Attack, a cult Bristol outfit who released a series of feedback-drenched, folk-inspired albums in the early 1990s, have been cited by Talbot as a major influence. 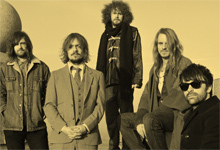 In 2007 Talbot did a Take-Away Show acoustic video session shot by Vincent Moon. A constant in the Gravenhurst sound is Talbot's fragile voice and vocal harmonies, intricate guitar work and unsettling and mysterious lyrical themes. Gravenhurst wrote and recorded original soundtrack music for the film Ein Freund Von Mir. As well as the bespoke "Song Among The Pine", the Gravenhurst songs "Animals", "The Velvet Cell" and "Song From Under The Arches" feature prominently in the film. An instrumental version of the song "Nicole" is featured in the acclaimed Shane Meadows film This Is England. The song "Black Holes in the Sand" is featured at the end of an episode of "The Unit," entitled "Johnny B. Good." Gravenhurst has recorded cover versions of Hüsker Dü's "Diane", "See My Friends" by The Kinks, "Farewell, Farewell" by Fairport Convention, "Longest River" by War Against Sleep and "I Found the F" by Broadcast for the 2009 Warp20 (Recreated) 20th anniversary album.